Both races were won by the Young Driver AMR team, with the No.7 car of Tomas Enge and Alex Müller and the No.8 car of Darren Turner and Stefan Mücke sharing the victory and second position in alternating order. The No.23 JRM Nissan GT-R of Lucas Luhr and Michael Krumm finished fourth in the Qualifying race and third in the Championship race to defend the lead in the driver's championship. 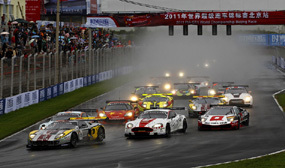 The Fuji GT 250km race, round 6 of the 2011 Autobacs Super GT series, took place at the in Shizuoka Pref on Sept. 11. 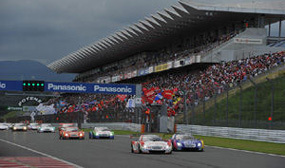 In the GT500 class race the No.38 ZENT CERUMO SC430 of Yuji Tachikawa and Kohei Hirate claimed its first GT victory in two and a half years with a dramatic come-from behind win in the last three laps. The Calsonic IMPUL GT-R finsihed in second position. 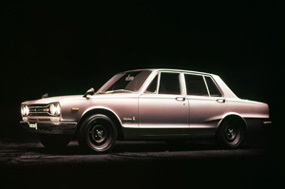 The Skyline is one of the most historic Japanese cars and has been around in various models for over 55 years already. The Skyline's production started in 1955 with the introduction of the Skyline ALSI-1. Intially sold in Japan and selected left-hand-drive markets only, the Nissan Skyline went international in 2002 with the introduction of the Infiniti G in the US. The European market followed in 2010. 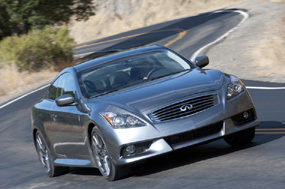 In addition to the traditional coupe and sedan bodystyles, the lineup has meanwhile been expanded by a convertible (G37 only) and a crossover SUV, whereas the Nissan Skyline GT-R was succeeded by the Nissan GT-R in 2007. 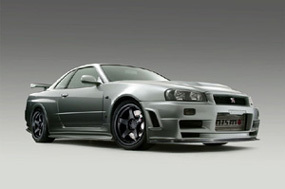 JB Skyline was founded in 2000 with the intention of providing as much information about the Nissan Skyline as possible. At that time, the Nissan Skyline was sold primarily in Japan, as well as a few selected markets worldwide. Things have changed considerably since then. 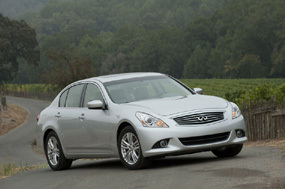 The Nissan Skyline is now sold as the Infiniti G worldwide, as is its decendant, the legendary Nissan GT-R. Even a crossover SUV, as well as a convertible has joined the lineup. What has not changed, however, is the Skyline's appeal on enthusiasts around the world. 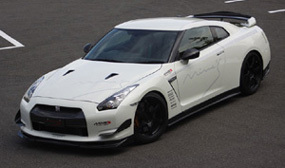 Especially the Nissan GT-R has been highly acclaimed since its introduction in 2007 and continues its success on race tracks around the world. At JB Skyline, it is still our aim to provide as much information about the Nissan Skyline as we can. And now we have more to write about than ever! If there is anything you would like to know about the Nissan Skyline, Nissan GT-R, Infiniti G25, G35, G37 or EX35, please let us know. Otherwise, we hope you enjoy our reviews, race reports and tuning articles of the great "Godzilla" and its siblings - and check this space frequently for updates.